We are located on State road 54 just shy of 41. We are located next to Marshalls and YouFit. 2016 Pet Retailer of the Year! Our Mission: We believe that people don't own pets—pets own people. As pet lovers, everything we do is genuinely designed to make pets happy. 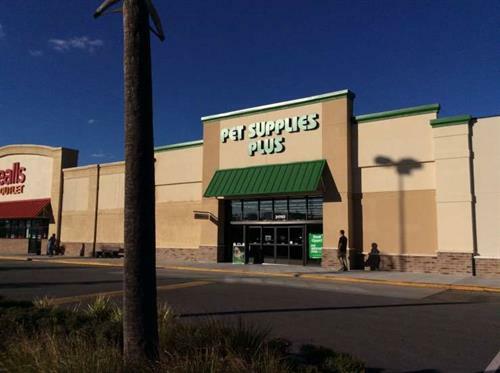 It's this philosophy that acts as the foundation of Pet Supplies Plus®, propelling us forward as we work hard and continue to be America's favorite neighborhood pet store. Our Products: We promise that we will never stock any product on our store shelves that we wouldn't feel comfortable giving to our own pets. We are proud to be a leading supplier of safe and healthy pet care innovations, such as our extensive selection of dry and canned natural foods for dogs and cats along with many products made in the USA. Our Neighbors: We'd like you to think of us as your neighbor. 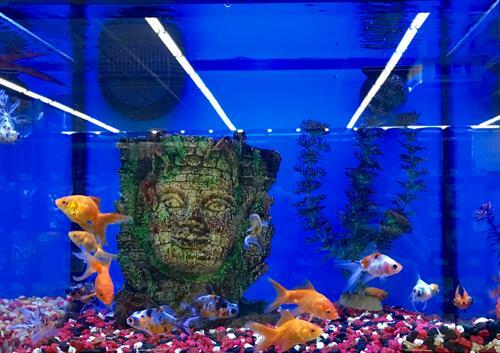 That's why our stores are conveniently located in your neighborhood, with each location big enough to carry everything your pet needs, but small enough to feel like home. Our in-store team members will not only help you find the right products for your pet, but will also remember your pet's face and name. Our Goodwill: We believe that every pet deserves a safe, healthy and loving home. Partnering with local animal rescue organizations, we host adoption events at select neighborhood Pet Supplies Plus® locations. We organize fundraising activities that support local animal shelters and charities, and we also feature in-store low-cost vaccination events at select locations.